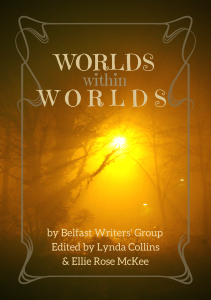 Belfast Writers’ Group will be releasing their third anthology in 2019. After the success of Ghosts in the Glass and Creatures & Curiosities, the theme for this one is Worlds Within Worlds. We want this prompt to encourage ideas rather than limit them, so feel free to interpret it any way you want. The finished anthology will be available for sale online in both print and eBook format. Submissions will be accepted by email only. Please send your work and a completed contract (available to download here)* as separate attachments to thebelfastwritersgroup@gmail.com along with a brief bio. Our submission window for this project is open from now until the 1st of January 2019. Stories should aim to be between two and five thousand words. This time around, we are also opening our call to include poetry. Poems should be no longer than forty lines, but in exceptional circumstances we may consider longer works. Belfast Writers’ Group is a non-profit organization. Any royalties earned by the sale of the anthology will be used by the group to cover group costs. * Signing a contract does not guarantee acceptance.